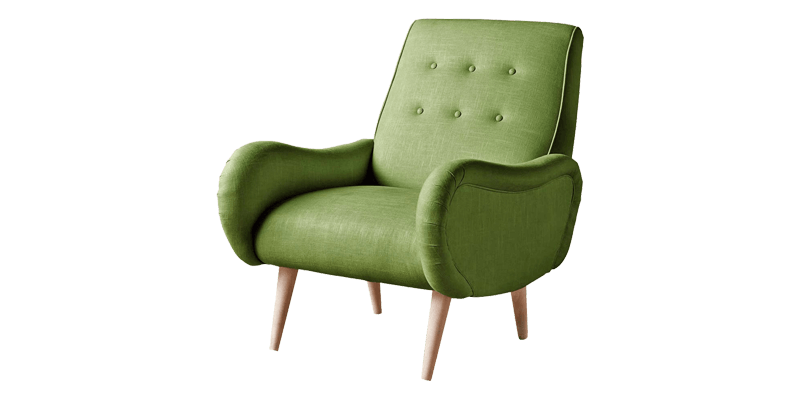 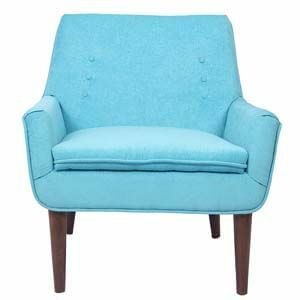 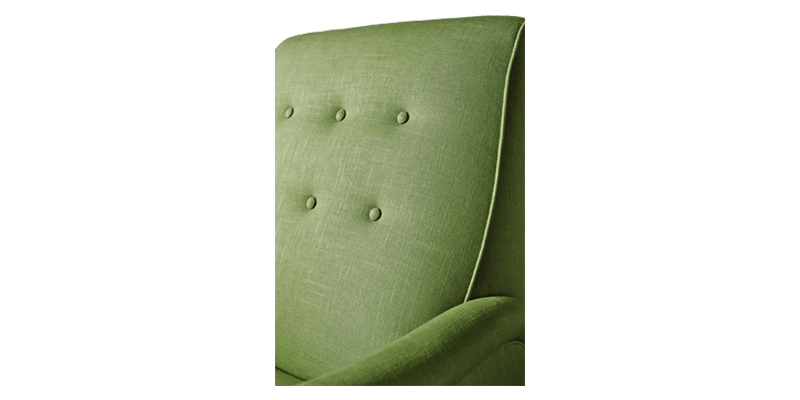 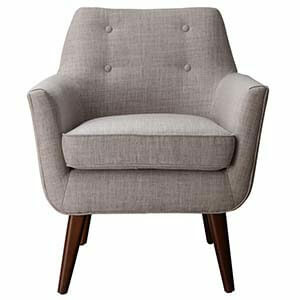 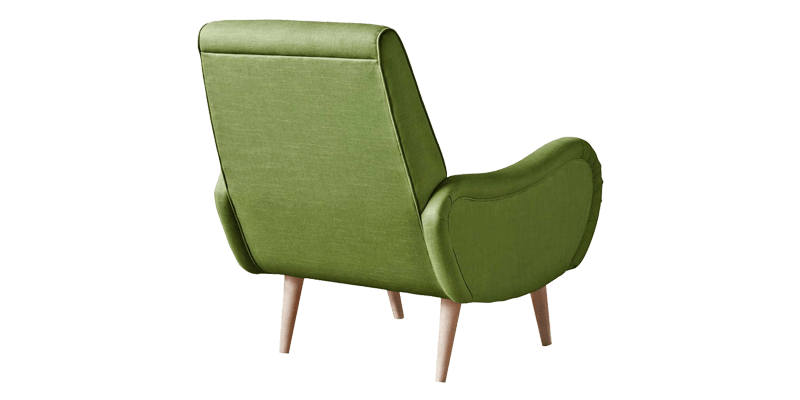 This mid-century modern green accent chair is made stylishly relaxing to suit urban homes. 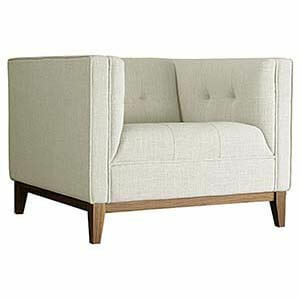 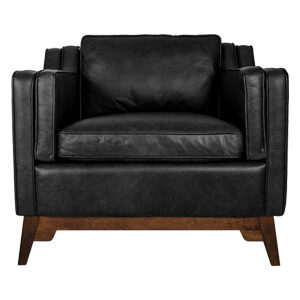 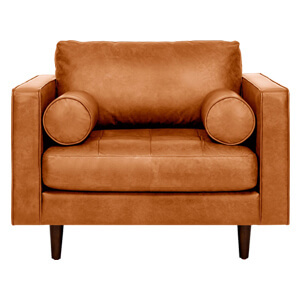 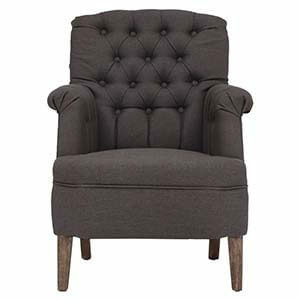 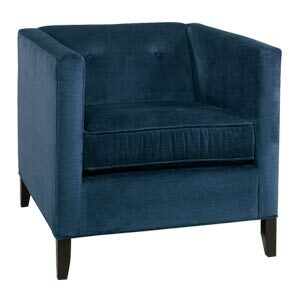 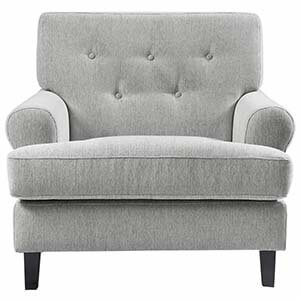 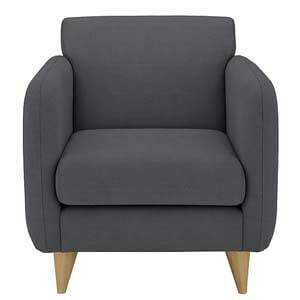 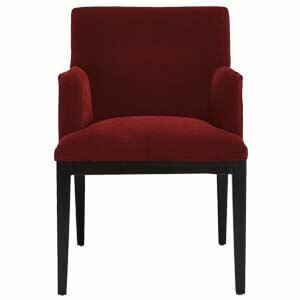 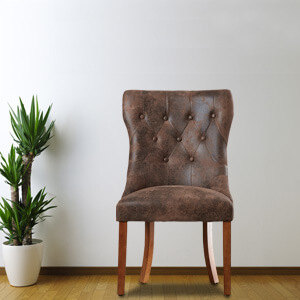 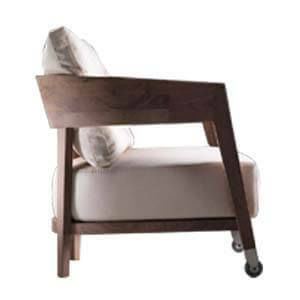 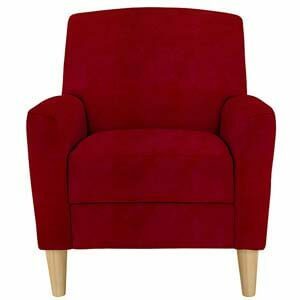 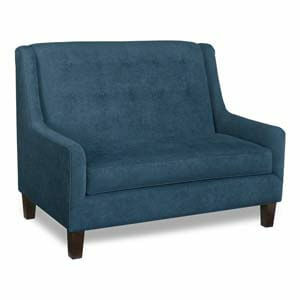 Exposed legs give an airy feel while its slim rolled arms and tufted back brings in a retro charm. 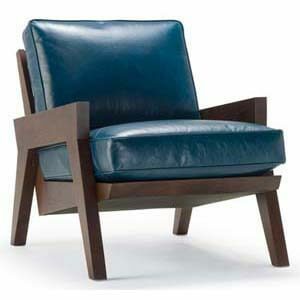 Handcrafted and made with utmost care, it will serve you long with its durability and design.